You lift each other higher and you raised me to be the best I could be. 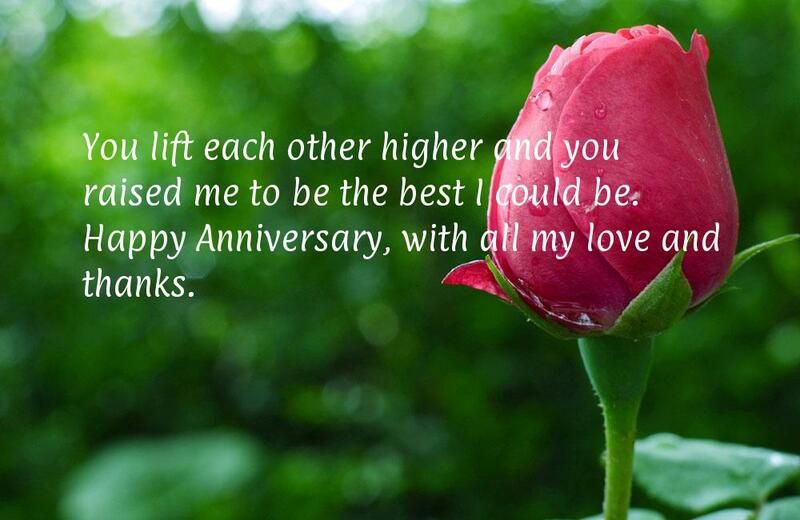 Happy Anniversary, with all my love and thanks. I'm glad to call you both my parents, and I hope to have love like yours some day. Happy Anniversary! Love is like the sun - even when the clouds come it, it always shines through, and the whole world revolves around it. Happy Anniversary to my loving parents. Mom and Dad, I know love holds the most powerful force, and must be treated with care and respect. You both hold this force dear, and I wanted to say I love you and Happy Anniversary. Anniversaries are special days that are important for various reasons. It is a day that marks something of importance - whether that's how long you've been at a job or have been with your significant other. There are anniversaries for many things, but one of the most important anniversaries is the one that your parents celebrate on the day that they got married. Getting married is easy, it's staying together long enough to celebrate your anniversary 25 years down that line that's hard. Staying together for such a long time is monumental these days so it's important to celebrate it. 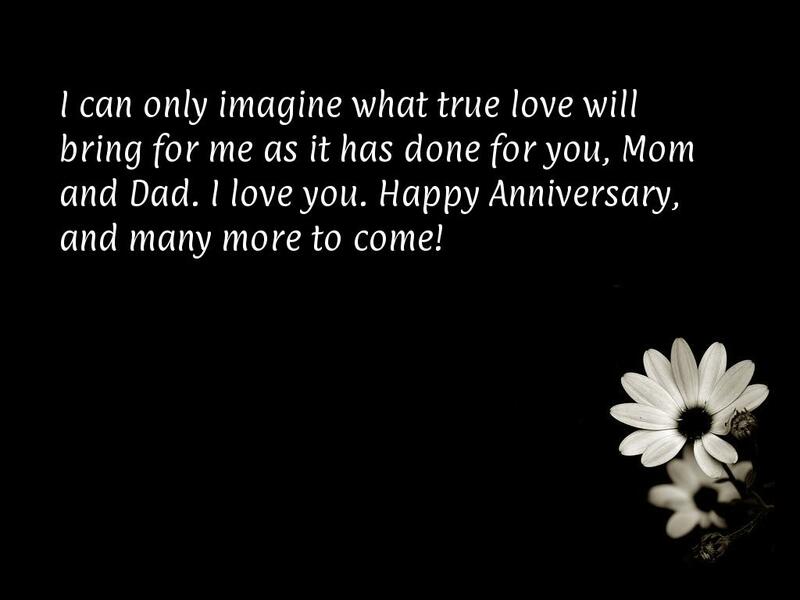 Everyone wants to provide anniversary wishes for their parents, but don't always know what to say or where to find the perfect words to celebrate such a special occasion. 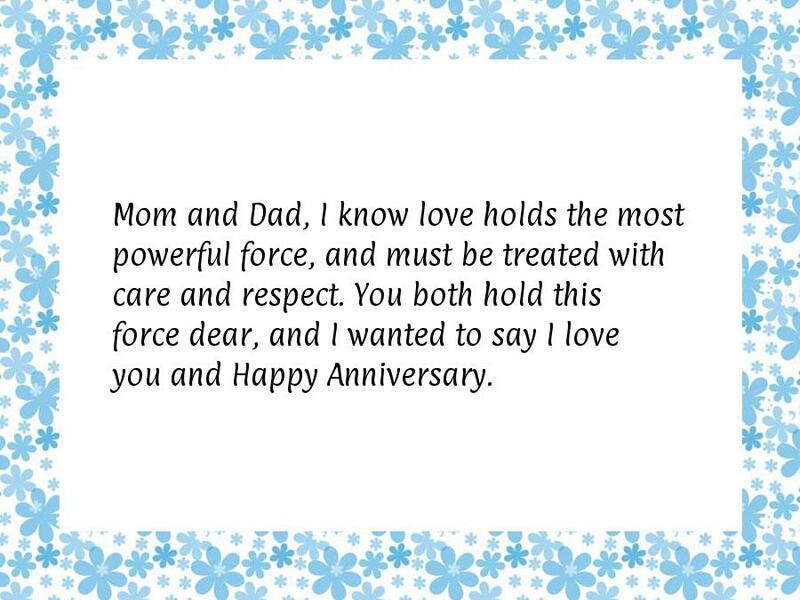 For those who need to say Happy Anniversary Mom and Dad, we've compiled a list of special anniversary wishes and quotes you can on their special day. 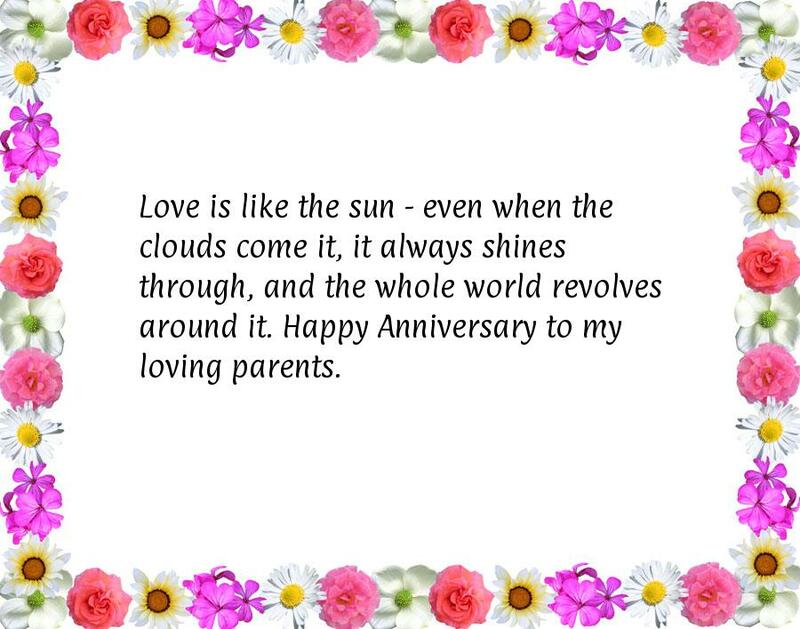 These anniversary quotes for parents are made up of insightful and inspirational words from a variety of notable and iconic personalities throughout time and will definitely bring them joy and love on such a special day that marks how ever many years they've been married. 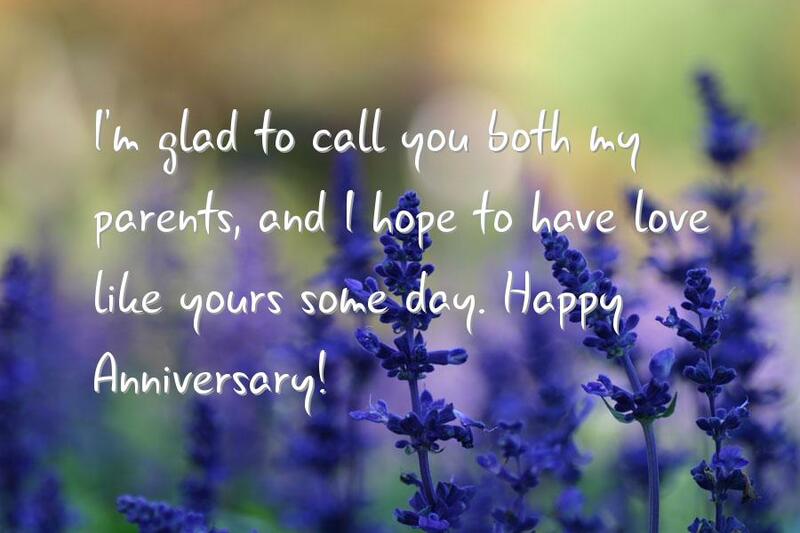 These anniversary messages for your parents are great to use on social media sites and can even be used on personalized gifts to inspire the love and bond they have for each other. 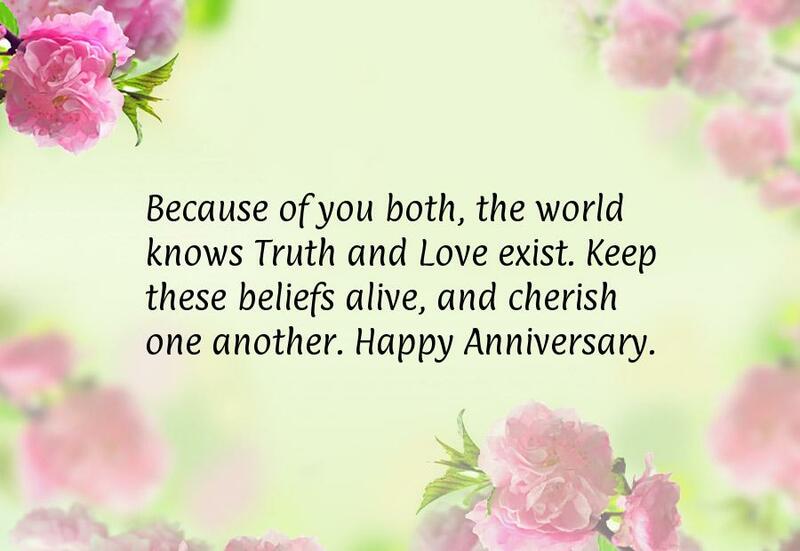 Each of these quotes shares something special and insight on marriage anniversaries so that you can use to help celebrate the memory of when your parents first became man and wife.